Avrupa İnsan Hakları Mahkemesi AİHM, kentsel dönüşüm adı altında yok edilen yüzlerce yıllık Sulukule sakinlerinin başvurusunu kabul etti. Türkiye’deki yasal sürecin bitmemesine rağmen, yani 3 yıl önce açılan davaların sonucu bile beklenmeden yok edilen ve yerine lüks konut inşaatının başladığı Sulukule şimdi haklarını AİHM’nde arayacak. Sulukule sakinleri ve Sulukule Roman Kültürünü Geliştirme ve Dayanışma Derneği adına Av. Hilal Küey tarafından, 20 Mayıs 2010 tarihinde yapılan başvuru 22 sayfalık dilekçe ile 48 bölümlük eklerden oluşuyor. Sulukulelilerin başvurusu ayrıca, sözleşmenin 41. maddesi uyarınca tazminat talebinde de bulunuyor. AİHM, başvuruyu 3 Ağustos 2010 tarihinde kabul etti. 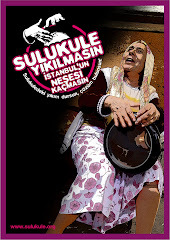 Istanbul, 20/08/2010 - The European Court of Human Rights has accepted the application of the Sulukule Roma Association against a renovation project in the Fatih Municipality’s historical Sulukule area, despite the ongoing domestic court cases. Hilal Küey, a lawyer for the association, said they applied to the European Court on May 20 with a 22-page file and 48 pages of supplements. “The European court usually does not accept applications if the domestic court cases are still ongoing. But they have accepted our application,” said Küey, adding that there are at least three ongoing court cases in Turkey over the renewal project in Sulukule. Küey said the court accepted the application because the judiciary process in Turkey has not borne fruit for three years now and many people have been removed from their homes within that time. Viki Ciprut, a member of the Sulukule Platform, a platform organized to support the Roma people in Sulukule, said the court cases on the renewal project are ongoing in Turkey but despite these court cases the authorities have continued the project, demolishing all the houses in Sulukule and removing the Roma people who used to live there. “In reality, everything has ended but the court cases are still ongoing. I think this is why the European Court accepted this application,” she said. The Fatih Mayor Mustafa Demir denied the accusations of "evacuation of people from their houses" and said that he was surprised that European Court accepted the application. The association and three locals filed a lawsuit in 2007, when the demolishment of houses in Sulukule started, against the renewal project, saying that it was damaging the Roma culture and historical fabric of this neighborhood, Küey said. She also said another court case was also ongoing, as some locals did not accept the expropriation sums that were offered to them by the Fatih Municipality, which is helming the renewal project. “On behalf of some locals, I objected to the appropriation offers for being too low. 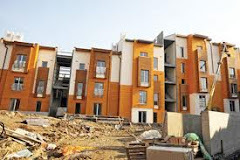 According to the law, Fatih Municipality opened a court case asking for an examination of the real expropriation value for these properties,” said Küey, adding that this second case has continued since 2008. The Turkish Union of Engineers and Architects’ Chambers, or TMMOB, has also filed a compliant against the Sulukule project, and that case is still ongoing.